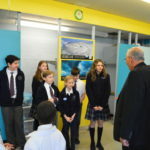 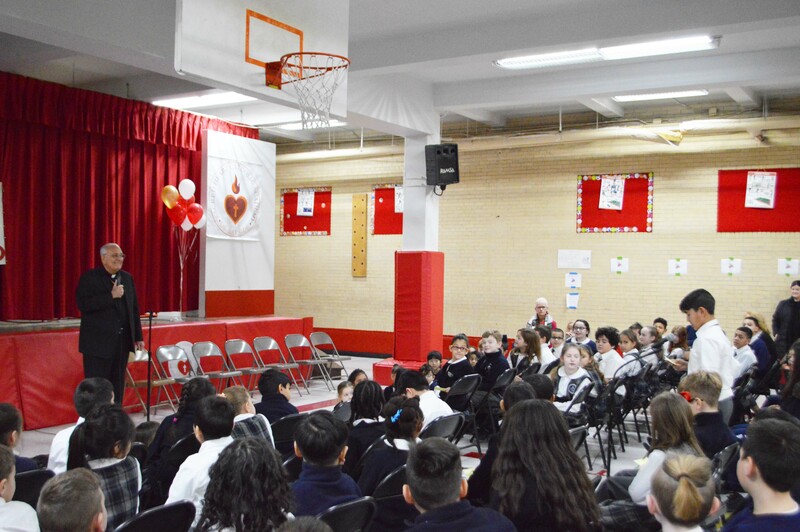 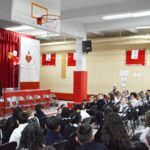 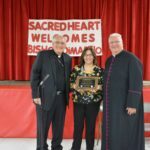 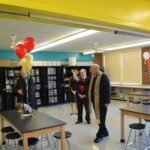 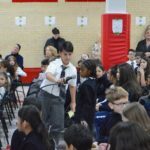 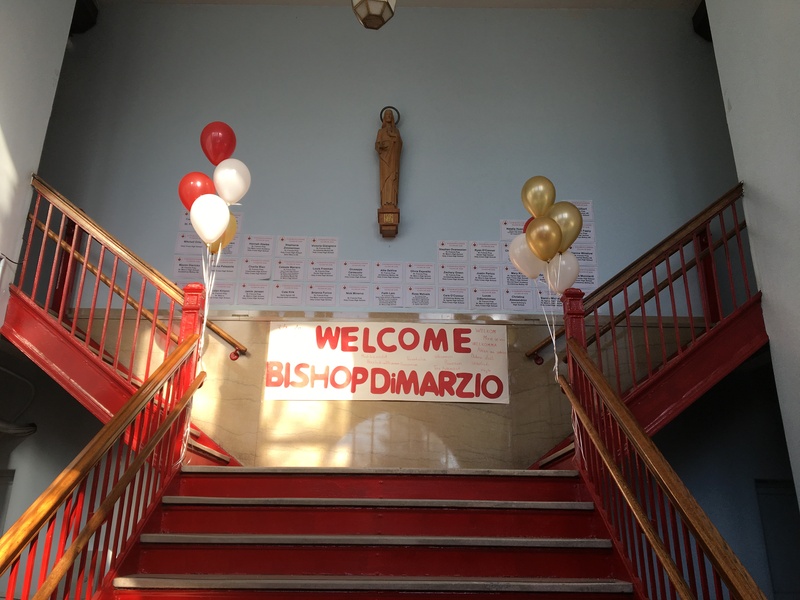 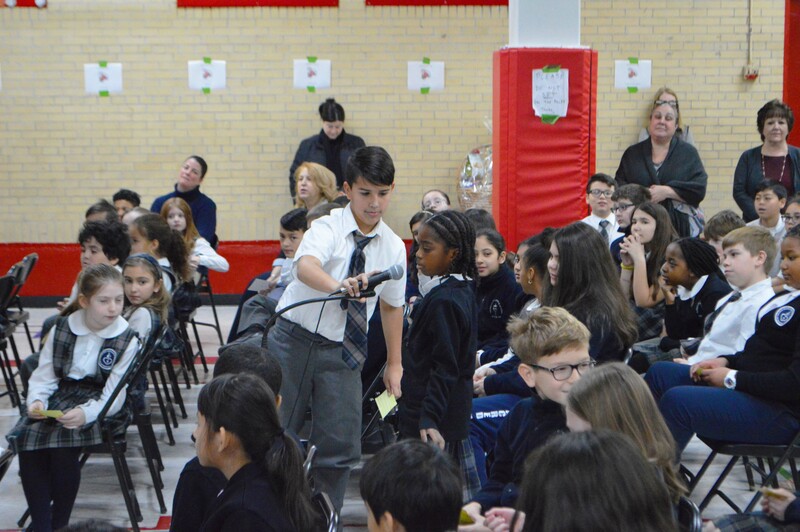 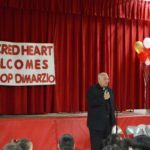 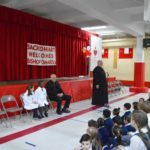 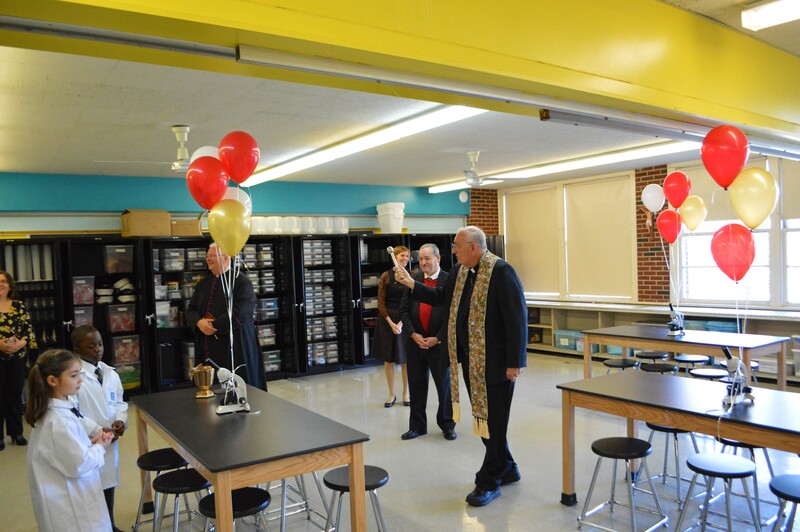 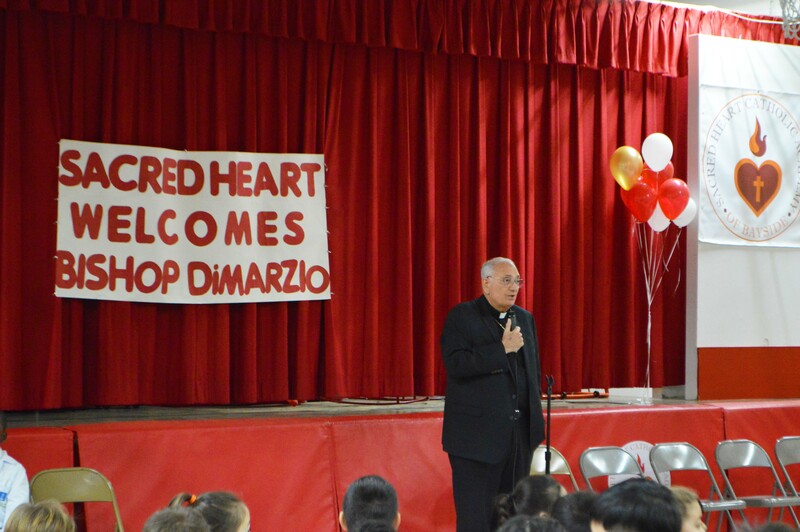 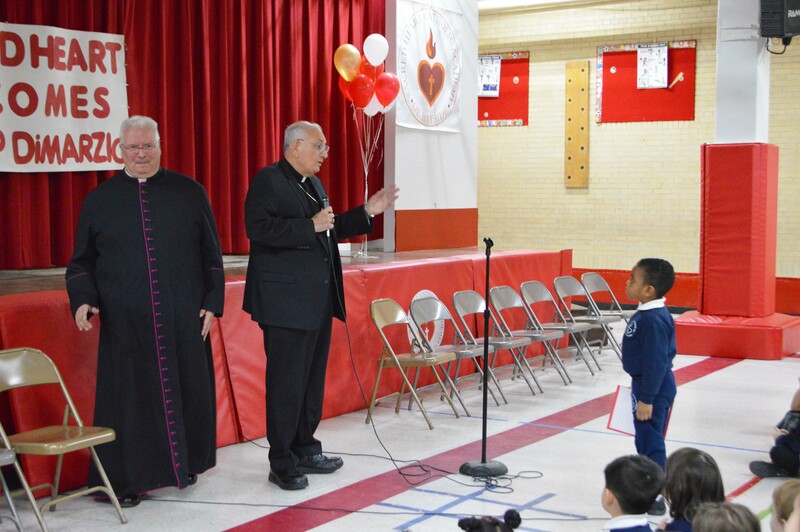 Bishop DiMarzio visited Sacred Heart on Thursday, January 31st. 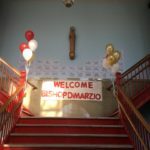 He was here to bless our new Stream Lab. 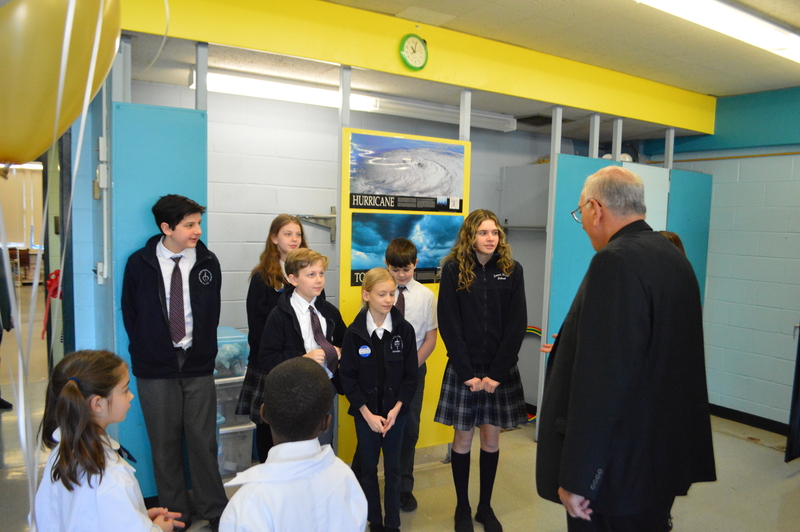 Our teachers met him in the Library for breakfast and then he moved to the Stream Lab to bless it. 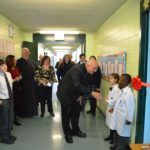 Student Council was there to greet him when he arrived and the officers escorted him to the Stream Lab after breakfast. 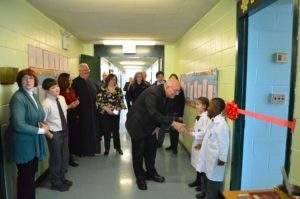 Once there two of our first graders met him dressed in Lab Learner coats. 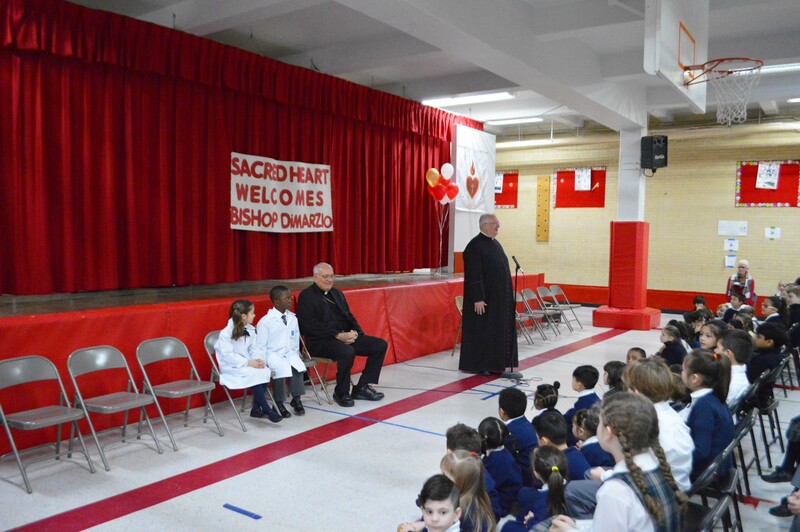 Afterwards, he went to then gym to play “STUMP THE BISHOP”. 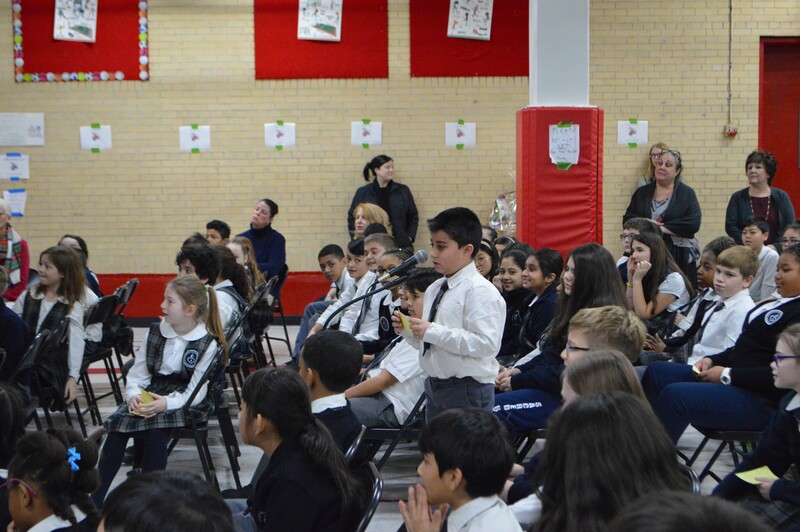 Several students had the opportunity to ask him questions. 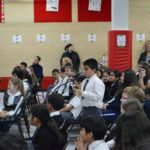 These included a question on his pick for the Superbowl. 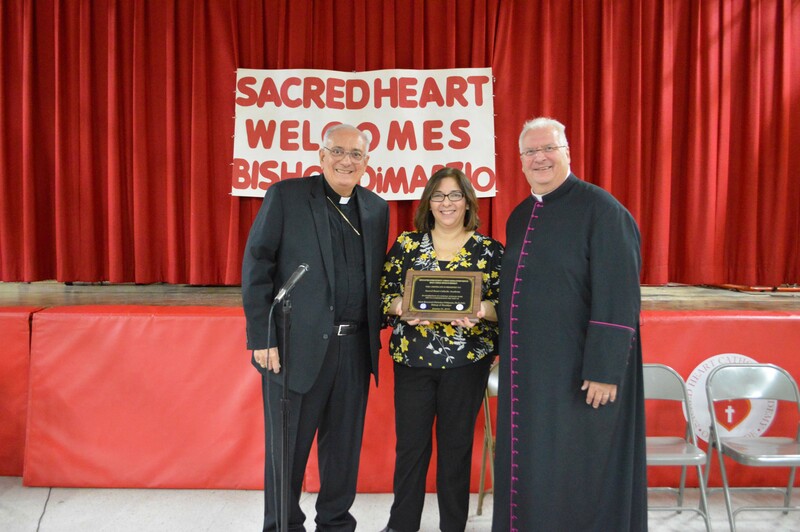 He presented to Mrs. Conlan and Monsignor Tom a plaque for Sacred Heart Catholic Academy that commemorated the day. 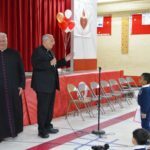 On behalf of the school he was presented with a gourmet basket of goodies. We are so grateful to have had him visit us during Catholic Schools Week and blessing the STREAM Lab. .
« Previous: Why is Catholic Schools Week Fun?